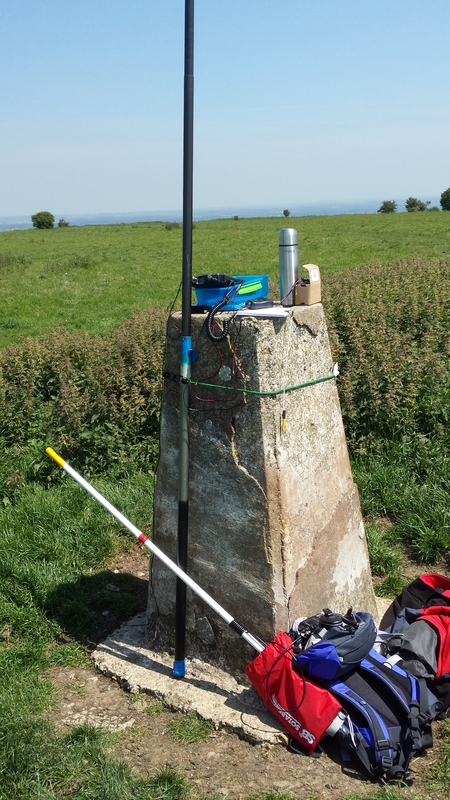 The telescopic mast is seen attached to the trig point. 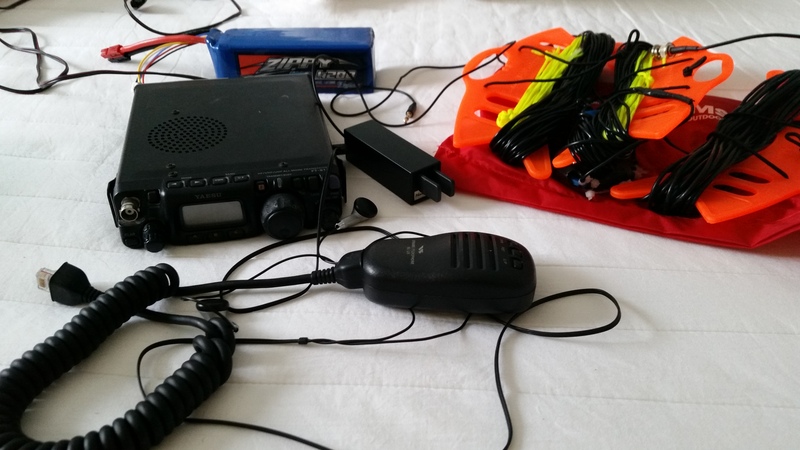 On top of the trig is the FT-817 with mic and palm paddle attached. 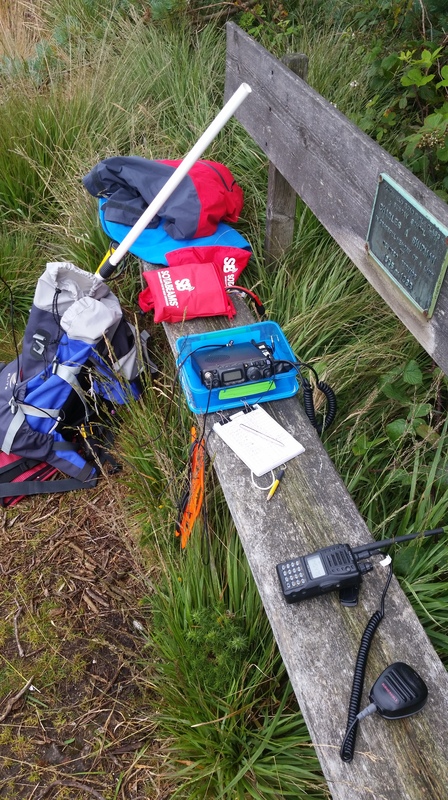 At the base of the trig is my rucksack with the RSS (Ruck Sack Special) attached.